This bird is really something special: it can neither sing nor fly – but it is able to run at a speed of 70 kilometres per hour and can kill a man with a single kick of its powerful legs. 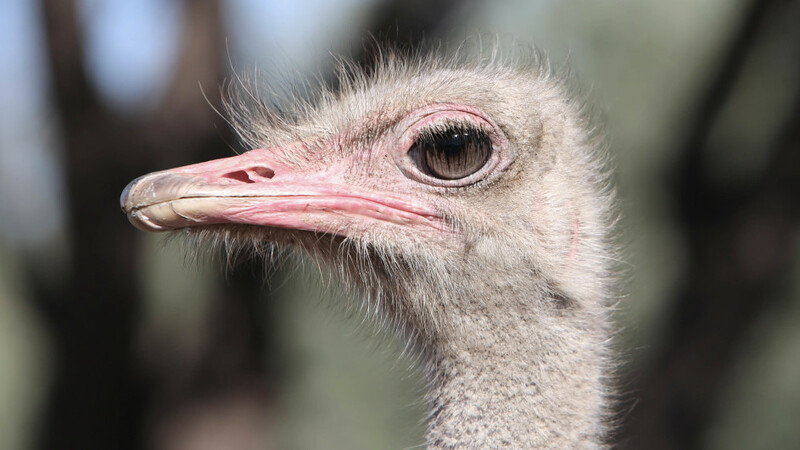 The ostrich is not only born to run – it is the largest living bird on Earth: up to 2.5 metres tall and weighing nearly 150 kilograms, the males are truly impressive creatures. And they are great in many other ways, too: their eggs weigh almost two kilograms, with a volume equivalent to that of about 25 chicken eggs. A closer look at these giant cursorial birds even brings to mind the age of the dinosaurs. Although they once also roamed the wide landscapes of Western Asia, today ostriches are only found in Africa. In this film we venture into the deserts of Namibia to follow this giant bird’s struggle to survive, overcoming the odds to raise a family and prolong its 70 million year reign as king of the desert. Ostriches survive in one of the harshest, most unforgiving habitats on earth, where rainfall rarely exceeds 10 centimetres a year. Yet even under such brutal conditions these birds show very special behaviour patterns and social skills. They have been persecuted for thousands of years for their stunning plumage – giant plumes, fit for ancient Egyptian pharaohs to use as fans and to be worn by upper class Victorians as elaborate headwear. These spectacular feathers also play a major role in the characteristic mating dance of the male ostrich. He tries to impress females by crouching, his outstretched wings flapping gently as he sways his head from side to side. In the end, his ballet-like dance is a success – but this won’t be the only time he has to perform this display. To ensure that his genes are preserved in the population, he will mate with multiple females. Over several days, his chosen partners will return to his carefully excavated nest bowl, laying up to 20 eggs each. Eventually, the nest could hold up to 80 eggs – which the male and his main female will take care of. This film follows the remarkable life of the ostrich over half a year: during this time, the male will have danced his way to impressing an array of females, battled potential rivals, sat out in the baking heat protecting his brood from any threat they might face – and then, when he has successfully led them across the scrub, he will have passed on his knowledge, giving them every chance of survival as they go on to raise their own families, prolonging the reign of these giant birds for many more years to come. Matsalu Nature Film Festival 2016 (Lihula, Estonia): 1st Prize in Category "Nature"